ProCraft Cabinetry is proud to offer quality crafted cabinetry at an exceptional price. 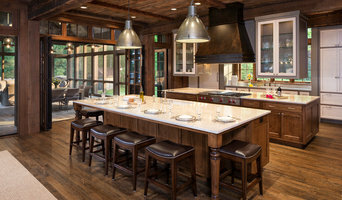 At ProCraft Cabinetry we strive to give you the highest quality and excellence. We want your experience with us to be an enjoyable one from beginning to end. Whether you are a contractor bidding on a job of any size or a dealer looking for dependable supply, we at ProCraft look forward to being your first choice for exceptionally crafted cabinetry. 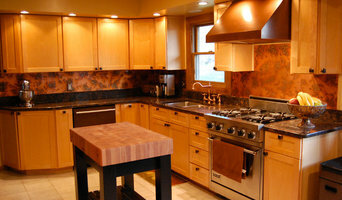 Manufacturer of aged copper sheets and patina copper tile for bar tops, backsplashes, range hoods, cabinets, and countertops. I resurface claw foot bath tubs and apply faux finishes to the outside of the tub . My finishes can be applied to old antique tubs or new tubs . Finishes are of the highest quality and very durable . Each tub is individually done by hand . USA Stone and Tile is a Nashville based natural stone and quartz product fabricator. Our knowledgeable staff is dedicated to doing whatever we can to help with your project whether a remodel or new build, residential or commercial. We offer natural stone, four different lines of Quartz, tile and even some plumbing. Our showroom team, having over 30 years combined experience, are ready to ease your decision making process by offering in house design services. Working with designers and home owners making their ideas come to life. Check out our Face Book page for pictures! Kenny & Company is a Kitchen and Bath showroom as well as a family business. We offer plumbing fixtures, tile & stone, lighting and hardware. We have product specialists on hand to work one on one with customers to aid in selecting products that fit both their style and budget. Kenny & Company caters to architects, designers, builders, plumbers, and homeowners. Our beautiful showroom is located in the heart of the Gulch in downtown Nashville. Please contact us if you have any questions or if you are interested in visiting one of our showrooms! 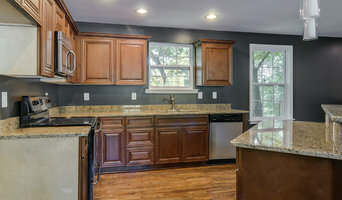 Complete Kitchen and Bath remolding And complete home repair and remolding. After years of use, the chips and scratches in your bathtub are beginning to diminish the appeal of your bathroom. You don’t have to spend thousands of dollars on a replacement. Work with Affordable Bathtub Repair Co. in Hendersonville, TN to restore your tub. We use durable, waterproof polymer resins to fill cracks and deep scratches and finish them with a glazing material that will blend with the color of your tub. The result will be a refinished tub at a fraction of the price of a new one. Affordable Bathtub Repair Co. is a family-owned and operated business located in Hendersonville, TN. We have been in operation for over three years, and we are devoted to improving the fixtures of your bathroom without draining your wallet. We offer a five-year warranty for residential work and a two-year warranty on commercial work. Whether you need to address the fiberglass tub in your guest bathroom or the porcelain sink in your restaurant, you can count on us for high-quality services at affordable prices. Legendary Nashville businesses Hermitage Lighting Gallery and Lankford Hardware & Supply Company have joined forces to provide the widest variety of specialty lighting and hardware products in central Tennessee. For more than 70 years, both companies have been staples in downtown Nashville, offering premium lighting, appliances, and specialty hardware products to designers, contractors, and architects across the state. We design kitchens and bathrooms for the Nashville and Brentwood, TN and outlying areas with the objective to provide our customers with superior design expertise, furniture quality cabinetry and all kitchen and bath related products, as well as skilled craftsmanship. We believe these elements combined with superb service and impeccable business credentials are essential to the success of any kitchen, bath, or other home remodeling or new construction project. We invite you to call or come in for a visit with us in our Brentwood showroom. Our mission is to create a kitchen and/or bath that fits your own image and lifestyle. Use the Houzz Professionals listings to find Nashville, TN kitchen and bath accessory vendors. Don’t rule out asking a kitchen manufacturer’s design team for help, too. Skills often can be overlapped to save you time and money! Here are some related professionals and vendors to complement the work of kitchen & bath fixtures: Kitchen & Bath Designers, Kitchen & Bath Remodelers, Interior Designers & Decorators, Cabinets & Cabinetry. Find kitchen and bath fixtures and accessories, plus installation experts, on Houzz. Check out Tennessee kitchen products and installers, and bath plumbing products and installers, on Houzz. You can also look through project photos provided by Nashville, TN renovators, retailers and designers.